I’m from a tiny town in Oklahoma – Inola, the “hay capitol” of the world. Everyone is always surprised when they hear that! I graduated from the University of Oklahoma in 2009 with a double major in Letters & Italian and am currently a Masters student in the Italian department here at Notre Dame. I lived for a year in Arezzo, Italy during my time as an undergrad and made a number of friends while I was there. I’m happy I will get to see them again this summer! As far as personal information, I’m planning my wedding so that’s what I do with my spare time. I also enjoy reading (what grad student doesn’t!? ), playing the piano, cooking, and dreaming of getting my next corgi. There could be no better way to improve my effectiveness as a teacher next year at Notre Dame than increased fluency, both in written and verbal skills. As a teacher this spring, I have found that teaching is my biggest joy as a graduate student. At the same time, it can be very intimidating as a non-native speaker, and this is the area where I need most improvement. Hearing Italian spoken daily in a learning environment where I am not afraid of making a mistake will hopefully make me more confident when speaking the language here in the United States. I am certain that my future career will include teaching the Italian language, and while I am receiving training in Italian literature at Notre Dame, I would like to ensure my grammar remains strong. After finishing the Italian MA, I hope to begin a doctoral program in Italian Studies or Comparative Literature, where I will most likely teach my first year. I am positive that every available minute spent in Italy will help me with my doctoral candidacy and as a teacher. I could not have possibly afforded either the program’s tuition or the plane ticket without the help of this grant. The main result will hopefully be an improvement in my language, specifically with vocabulary. I still get nervous like most secondary speakers, and being completely immersed within Italian will undoubtedly help me with my timidity. 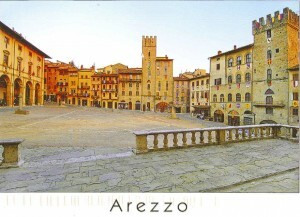 I will also be volunteering as a tutor and helper for the University of Oklahoma, which has a branch in Arezzo. I will be tutoring a higher level class than the one I teach here at Notre Dame, so this should provide me with a broader set of teaching skills. The results for me should be incredibly helpful: I will get more experience as a teacher while attending classes specifically in the Italian language, in a small town with few English speakers. At the end of the summer, I will be able to communicate in Italian with both friends and strangers on various topics, without hesitation or fear of making a mistake. At the end of the summer, I will have improved my ability to perform in graduate level discussions, specifically through an increased vocabulary in the area of literature. At the end of the summer, I will have completed reading at least ten novels in Italian that are at or beyond the “advanced” level. I plan on writing a short review of each book in Italian and will submit them for grammar revisions throughout the summer. ince the University of Oklahoma has provided me with a volunteer position, I will be busy even when I am not in class. The language program I will be participating in through Accademica Britannica requires both morning language lessons, and classroom trips in and around Arezzo. The tuition includes trips to vineyards, cultural exchanges with Italian students, and occasionally dinners with our own professors! Since I lived there for a year only a short time ago, the majority of my Italian friends still live in the area, and would provide an instant chance to begin speaking Italian. If time allows, there is also a branch in Arezzo of the University in Siena, and I could sit in on a few classes to learn more about Italian literature and culture. Well, I survived the flight and I am happily installed in my apartment near Piazza Grande in Arezzo. I had to leave as soon as I was done grading my students’ tests and then I drove down to Dallas – I was in Italy the Monday after finals! During June, there is a traditional jousting matched called the Giostra, and only during this time do they display the city’s shields all over the piazza. It makes the piazza even more interesting, if that’s possible. Today the orchestra was practicing in the piazza (I’m assuming for the giostra), so I was awoken by beating drums and screaming Italians. Then they paraded through the streets carrying the banners of each neighborhood that will participate in the Giostra. Ah, Italian life. I’ve had lessons this entire week, and I’m happy with the results. Advanced grammar is still a problem for me (subjunctive, etc) and the school was happy to emphasize things that I in particular needed help with. I’ve been trying to just speak in Italian, and so far it’s been a success. Sometimes it’s frustrating when I cannot express an idea exactly how I’d like, but my friends here in Arezzo have been understanding and helpful. I actually asked for some help in my favorite bar where I get my coffee every morning – and even the barista didn’t know how to do it! I told him even after 5 years of studying Italian I have difficulties with certain parts of grammar and he smiled and said that no Italian in the bar knew how to do it either, haha. The school also gave me a chance to visit a city I’d never seen – Anghiari. It’s a perfectly preserved medieval city, supposedly where St. Francis stopped after he received the stigmata 800 years ago. They say he left a cross at one of the high points of the city, and they built a church over the spot. I’ll be sure to post pictures! Finally made it back home! I didn’t have internet for the majority of my trip so I’m going to post all of my entries now! kI had a wonderful trip and the intensive language lessons really helped me. Task 2: Conveniently, I am allowed to to introduce a topic in my daily conversation class – so the topic questions provided are really good for starting discussion. In Arezzo, almost every person I see is thin, it’s impossible not to notice. My native state is Oklahoma, where a gigantic proportion of the state is obese. I chose to discuss the obesity epidemic in America, and the growing trend of defending weight gain. We discussed a wide range of arguments, from underweight supermodels to the cultural phenomenon of fast food in America. Almost every person in the room had visited the United States, and they all commented on how the epidemic was disturbingly apparent. The two Italian women in the room were especially critical of the American lunch routine. They said the lack of a substantial break for lunch was detrimental to health and family unity (especially compared to Italian families who all return home for lunch). At one point, they asked me how many fast food restaurants actually exist in the U.S. and they were astounded when I said I couldn’t possibly count them all! Italy is very unique with its complete lack of “to-go” food (with the exception of the occasional McDonalds). The younger Italian woman in the room had a look of complete disbelief when I explained how it’s growing more common to see a defense of heavier people in general. We all agreed that anorexic supermodels are not a good model of health, but neither is the opposite. She understood that the general idea was not to encourage overeating, but rather social acceptance – but the entire room seemed to see the trend as dangerous. The spread of obesity can be seen even in Italy. So can the spread of American restaurant chains in Europe – Taco Bell, Subway, Starbucks and of course McDonald’s are common to see. A few of the Italians expressed fear that the popularity of American food would increase over the years, and would cause similar weight problems for Italy. Task 4: How are foreigners treated in Italy? A number of Japanese students studied with me at the language center, and I chose to speak with a girl about the same age as me. She had encountered only a few problems during her two years in Italy. Italian people seem more curious about the Japanese than hostile, overall. She had had several older men actually stop her on the street and tell her how beautiful she was! The only time people were ever a bit mean was when she would speak Italian with them and make a few mistakes. She was actually looking for a job in Italy and a person made a somewhat nasty remark how she should learn the language first (even though she speaks Italian quite well!) I found this to be remarkably similar to the way foreigners are treated in the United States when their English is not perfect. I cannot count the number of times I’ve heard people say “You’re in our country, learn OUR language!” The odd thing in Italy is that even when you’re trying to speak the language natives sometimes get annoyed. But overall, my Japanese friend said she was treated like any other Italian. To put this in perspective, I also spoke with an Albanian man of my own age. Albanians and Romanians are not treated like real citizens of Italy, even if they are there legally (at least in my experience living in Italy for a year). It is true that a large number of crimes are perpetrated by them, but that might simply be because the news focuses on their crimes rather than the crimes of Italians. I don’t know any statistics, but I have seen the way foreigners are treated. This particular man spoke Italian perfectly, but with his native accent. He said that people would recognize it and sometimes would treat him differently. No one was ever outright rude but the difference was there. I think that Albanians and Romanians are treated similarly to Hispanic immigrants in the United States. Of course not everyone is rude or mean to Hispanic people, but we know there are prejudices. Every country has their problems. Task 5: Ordering a specialty dish. One of my favorite dishes is a rustic specialty of Tuscany, ribollita. It literally means “twice boiled.” Usually it is prepared the day before and then reheated and doused with bread and oil. It is a thick soup made with beans, onions, carrots, spices, celery, and old bread. The older the bread the better! Good thick Tuscan bread makes the soup thick and tasty. When I asked the waiter why it was so popular in Italy, he said something along the lines of “it’s a comfort food.” Almost like mac and cheese for Americans! He also said it’s a favorite because it’s available year-round and a reliable dish. I’ve had it at locations all over Tuscany, and it’s always delicious. It’s convenient because it basically consists of leftover vegetables and bread. The waiter said it was an excellent way to be sure they never wasted anything! The flavor also depends on the type of olive oil and cheese used, since it is served with a generous smothering of oil and parmesan. The fresher and greener the oil is, I find it tastes much richer. I’ve made it here in the United States a few times, but I can’t find that really green olive oil! I got a break from lessons and I’m vacationing in Sorrento with Naples and Mt. Vesuvius in the distance! Today we walked to a little grotto and villa that’s perfectly preserved from Roman times. Well, the villa doesn’t really exist anymore, just the foundations do – but the grotto is beautiful. You immediately understand why the Romans chose the spot as a vacation home. It seems ironic to be vacationing in the exact same place as people did thousands of years ago. We’ve eaten pizza for almost every meal (I prefer Neapolitan pizza to Tuscan so I’m not wasting time!) For breakfast we always manage to find a place that sells cannoli – I’m in heaven. All of the orange and lemon groves make the camping ground we are staying at smell like a giant garden. It’s really really hot, in the 90s everyday and with no A/C it makes the nights really uncomfortable – but at least we’re near the ocean so we have a nice breeze. As far as language, I’m happy to find that the people of Sorrento can understand my Italian even if I do have a bit of a “tuscan” accent. One cafe owner told me she could tell immediately where I had learned my Italian. I guess living in Arezzo for a year has marked me forever. I sometimes wonder how different my Italian would be had I learned it in Naples instead. When the people here speak I can’t really hear the accent, but I suppose it’s the same for Italians with English accents. My Italian friends can never hear the difference between a New Yorker and and southerner, for example. Of course when dialect is used, it sounds like an entirely different language. It seemed not as many Italians spoke English. I was with a few friends who preferred to speak English, and they had trouble when the majority of Neapolitans only spoke Italian! It was good for me, I was forced to speak Italian every moment, but it was also fun. The waiters always seem to be extremely relieved you can understand Italian when they’re trying to explain every single special dish of the night! One of our waiters actually said in Italian: “Thank god, you can understand Italian, my English can really only go so far when explaining everything in a seafood dish!” We’re having fun! The main goal for me this summer was to learn colloquial/idiomatic Italian so that I don’t sound too rigid as a speaker. The school was perfect for me in that it set aside entire days devoted to just that task! I was in a classroom that was perfectly suited to my level and I had access to entire stores of Italian books since I was in Italy. Attending the school’s extracurricular activities provided cultural learning and experience: I went to a cooking lesson, visited a local artisan, and went to little towns that rarely see any tourists. I met the majority of my goals that I had planned except for the amount of reading I was hoping to accomplish. I simply didn’t have as much time as I thought I would have – I forgot about homework! Every time I go to Italy I learn something new. It’s cliche but true, it takes a long time to really understand a country and their citizens. Some days I thought Italians were just like Americans, and there were other days where I felt I was on another planet. But in many ways it’s refreshing to see a culture that has kept so many of its traditional values over centuries – almost completely untouched. If I was giving advice I would say to try and go to a new country with no preconceived notions about what it’ll be like (except for safety concerns, of course). Also, try and make a friend who can take you home to dinner with the family! I learned quite a bit of Italian in that exact way. Luckily I’m teaching this semester so my students will be the first to benefit from all of the “new” language I have learned. Being in Italy also gave me a chance to access books in other Romance languages that are not readily available in every bookstore here in the U.S. So my Spanish skills have improved as well – as a result, I’m hoping this will help my applications to graduate schools for PhD programs. 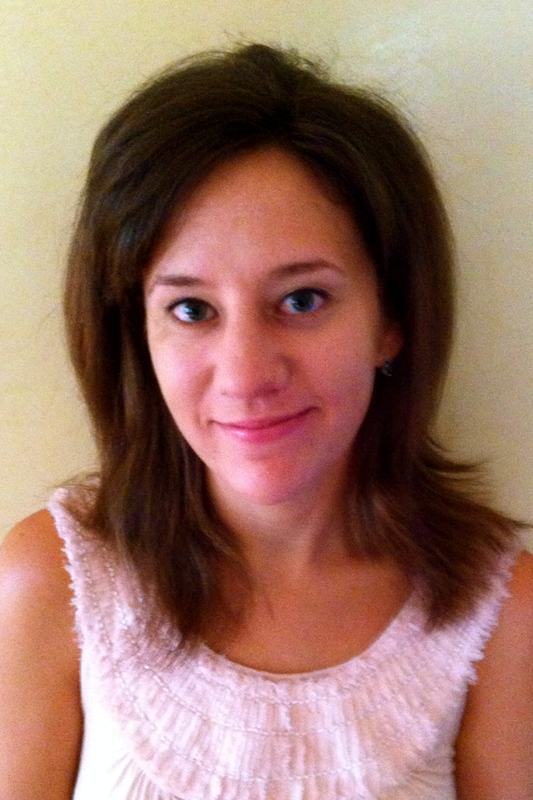 The grant enabled me to study two languages at once without having to panic about the money I had to spend. Personally, it was a great relief to learn more. Sometimes after years of language study it feels almost like you’ve hit a wall, especially when you are the teacher and no longer the student! It was relaxing and enjoyable to be learning once again.